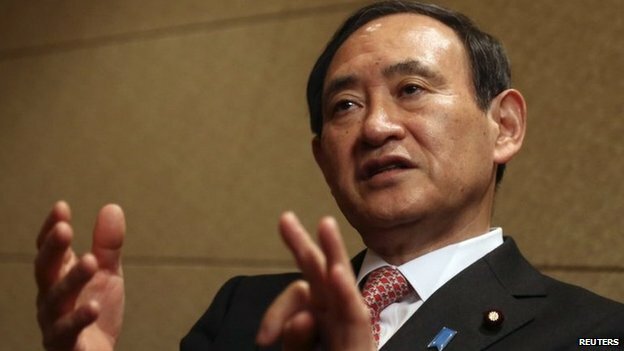 China's seizure of a Japanese cargo ship over a pre-war debt could hit business ties, Japan's top government spokesman has warned. Shanghai Maritime Court said it had seized the Baosteel Emotion, owned by Mitsui OSK Lines, on Saturday. It said the seizure related to unpaid compensation for two Chinese ships leased in 1936. The Chinese ships were later used by the Japanese army and sank at sea, Japan's Kyodo news agency said. "The Japanese government considers the sudden seizure of this company's ship extremely regrettable," Chief Cabinet Secretary Yoshihide Suga said on Monday. "This is likely to have, in general, a detrimental effect on Japanese businesses working in China." Shrine row The owners of the shipping company, identified by Kyodo as Zhongwei Shipping, sought compensation after World War Two and the case was reopened at a Shanghai court in 1988, China's Global Times said. 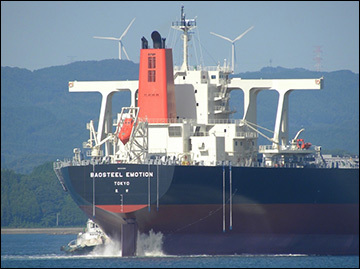 The court ruled in 2007 that Mitsui had to pay 190 million yuan ($30.5m, £18m) as compensation for the two ships leased to Daido, a firm later part of Mitsui, Global Times and Kyodo said. Mitsui appealed against the decision, but it was upheld in 2012, Kyodo said. Kyodo said this appeared to be the first time that a Japanese company asset had been confiscated as war-linked compensation. The seizure comes with ties between Tokyo and Beijing severely strained amid rows over East China Sea islands that both claim and rumbling historical issues. Earlier this year, a court in China for the first time accepted a case filed by Chinese citizens seeking compensation from Japanese firms over forced labour during World War Two. Japan has always held that the issue of war-related compensation was settled by a 1972 agreement between the two sides when ties were normalised. But now for the first time, a Chinese court has ignored that agreement - and the Chinese government appears to be giving full support, says the BBC's Rupert Wingfield-Hayes in Tokyo. It is another sign of just how low relations between China and Japan have sunk, our correspondent adds. On Monday, meanwhile, Japanese Prime Minister Shinzo Abe sent a ritual offering to the Yasukuni Shrine to mark the spring festival. Yasukuni is where the souls of Japan's war dead are enshrined, including war criminals - and it is seen by regional neighbours as a symbol of Japan's past militarism. China filed a protest with Japan on Saturday after a Japanese minister visited the shrine.